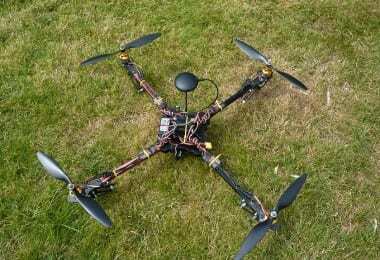 The ImmersionRC Vortex 285 is the latest and greatest in race drones and has impressed users thoroughly thus far. It’s an action-packed quad that does not stop short. Immersion RC have really outdone themselves this time, adding a unique, exceptional component to their ultimate legacy. Be Aware: You will need to do some minimal assembly once you receive the drone, even though it’s technically a ready to fly model. You won’t have to build the entire thing, however, but there are some small pieces and additions that need to be snapped into place. It will only take a couple of minutes. To see a tutorial on how it is setup watch this video. The setup process is a relatively easy one. You can choose to go by the instructions or watch the video linked above to ensure that you are doing everything right the first time. The frame mostly consists of a carbon fiber paired with connecting parts that are made out of molded plastic. When the drone is fully put together, it feels strong and solid. It’s designed to fold up and become compact through the four arms folding toward the rear of the drone itself for easy handling and storage. 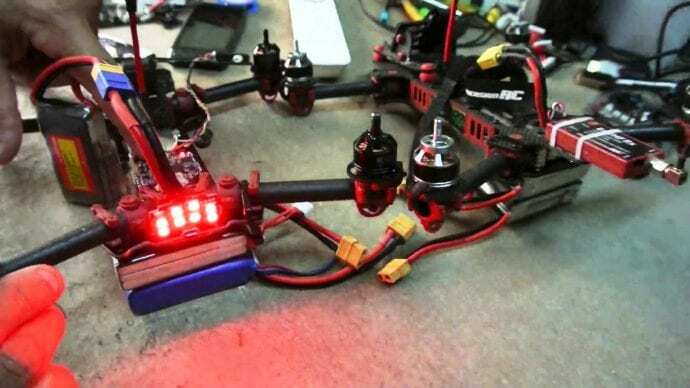 You will notice right away that there are no ESCs, which is because ImmersionRC designed the quad to be small enough to not need them and instead fit inside of the quad’s arms. The CMOS camera that is included is designed to attach to the top plate while still being on its own dampened one. The hinge mechanism involved is only there for the purpose of you being able to tilt it so you can get it as close to your flying preference as you’d like. Because crashes and collisions can happen quite frequently when racing quads, the Vortex 258 has been designed and built to withstand even the most cringe-worthy crashes. The durable design works through multiple aspects, including the arms kicking back during a high-speed collision or crack to ensure they are secured into the body and will be able to avoid being snapped off. However, this can also be a faulty issue. Users have reported the propellers becoming damaged as a result of the retracting arms, especially if they are spinning at their fullest speed. Sometimes it’s the propellers that take some damage, or it’s the radio receiver, battery, or the antenna, so ensure that you avoid high-speed crashes as much as possible and you should be okay. 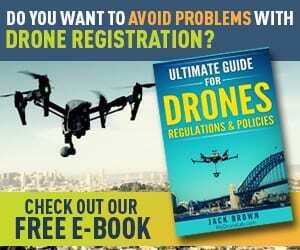 To see how much of a beating this drone can actually take, watch this video. 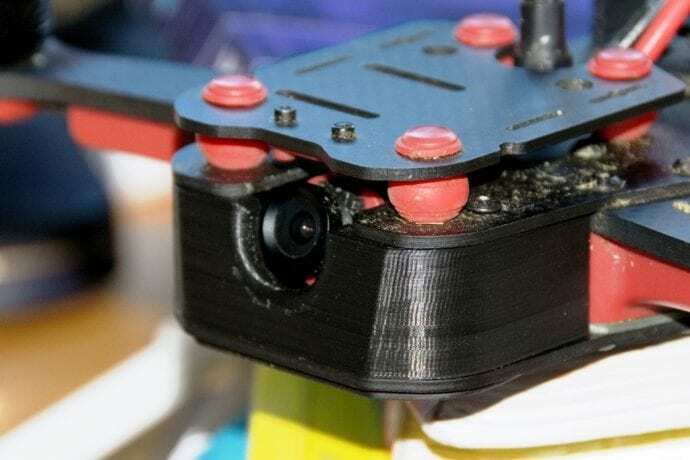 The camera mount, supports the flight cam and any additional extra camera you’d like to switch it with, including both Mobius and GoPro cameras. The flight camera that it comes with is protected against impacts through the suspension of the vibration-dampened, carbon-fiber plate. The camera itself is spectacular for racing because the adjustable bracket allows it to be tilted and moved around slightly for the purpose of gaining a decent forward view when racing at higher speeds. The 3A switching regulator adds greater value and control with any additional HD cam you attach. 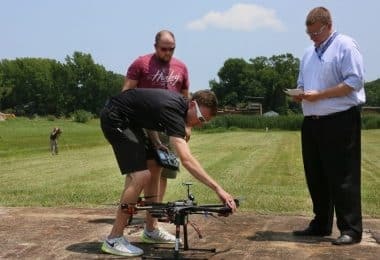 This is because you will be able to power it using the drone’s flight pack, which allows for any other batteries for your extra camera to be left at home and not worried about. There is now an upgraded version of the camera, which draws approximately 180ma instead of the original 60ma, with both cameras running at 5V. The newest upgrade is the FatShark 900TVL CCD camera. It works and runs perfectly with the drone. You can learn more about it, and also how to upgrade it into your drone, by watching this video. 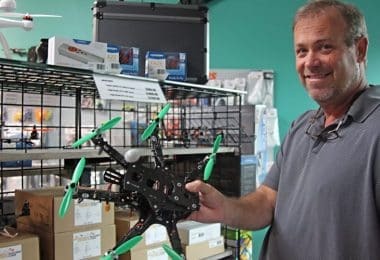 Because the drone does not include a battery, new users may be confused when trying to figure out why there isn’t one. 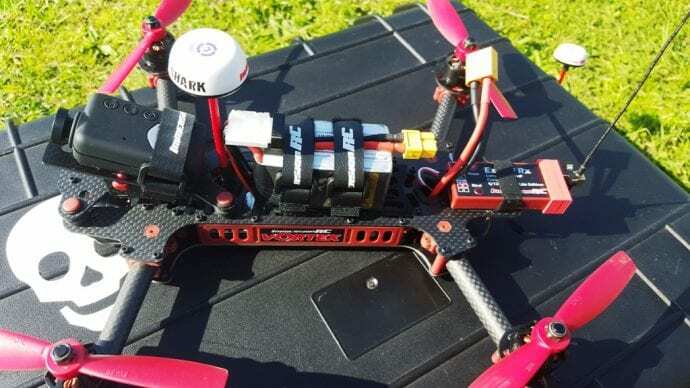 However, going online and looking through forums, you will see which batteries are able to be used, which ones offer the best flight times, and how many you should have. For example, the 1300mAh battery offers up to 6 minutes of flight time, whereas others offer as less as 3 minutes. Therefore, it’s best to do further extensive research to see which battery will successfully suit your needs for compatibility and flight times. Interestingly enough, the flight controller is integrated with the drone, and features a barometer, pre-programmed with the CleanFlight feature, supports future upgrades, a 3-axis Accelerometer, and a 3-axis Gyro. For software and programming updates you can hook it up to your computer, the entire drone, through the USB port on the rear of the quad. The full-graphic OSD and high-speed interface is just the icing on the cake. The PIDS are fully adjustable when they are on your screen through the easy menus, and are directly driven through the R/C Tx. Though having this type of controller may be strange or an inconvenience to some users, it’s actually a great integrated feature within a feature. The CleanFlight feature allows for some seriously awesome flight performance control, party because the software used is more stable and responsive than any other racing drone out there. 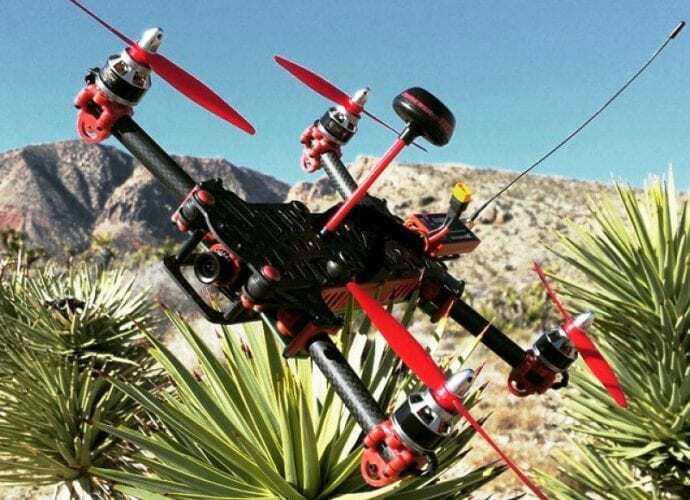 The Vortex 285 uses rotorSense, which is a unique, first-time program that programs the direction of the propellers easily to ensure that motor wires will not need to be swapped. 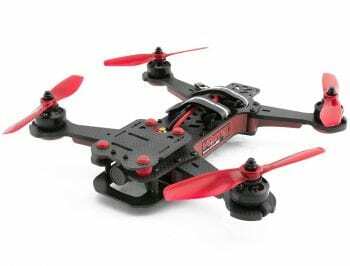 This equals a great flight performance, especially with ESCs that are micro-sized. The real-time interface pairs with the controller to enable an artificial horizon, an exchange of flight parameters, and an F-18 style display. The on-board, full-graphic OSD allows for updates of critical parameters during flight, as well as a menu for sport that allows any option to be programmed into the field straight away. You can use the LCD screen or a pair of goggles that are sold separately. The set of 8 LEDs, which are 24-bit each, are located on the drone’s tail between the upper and lower plates of the frame. They are great for visibility during basic flight and races so you can see exactly where you are, where you’re going, etc. They are controlled by a 32-bit ARM processor that can be upgraded, and even color changed, through the firmware. You can use them as brake lights by shifting the color, as well as for maximum acceleration indicators, left and right turn signals, or even just a simple yet pretty pattern. Either way, they add to the flight performance in the case of the added visibility if you are flying in the late afternoon or pitch black. When it comes to flight performance and speed, it all depends on the battery you are using and the type of propellers. 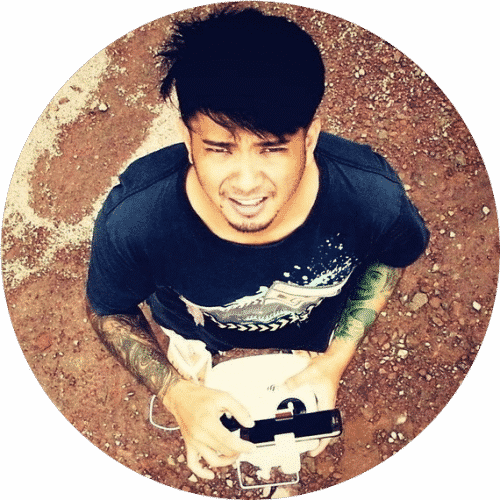 In this video the user was using HQ 5×4 propellers and a 4s 1300mAh 60c battery. The top speed recorded in the video was up to approximately 70 miles per hour, which is incredible. In total, the ImmersionRC Vortex 285 is rounded to roughly $450, which is actually a very decent price for what you’re getting. High speeds, durability, and a very cool drone where features are concerned for under $500 is something that is not as easily found. However, there is no guarantee found online on Immersion’s website, but you may have more luck in terms of gaining a warranty or product insurance by purchasing through one of their connecting retailers. Because the features can get quite extensive and are more on the technical side, generally through the hardware and not incorporated within the actual flight, watching this video will give you a better explanation and more insight on what they do through the maiden flight test that went on during the video itself. The biggest competition and similar model would definitely have to be the version of the Vortex that followed the 285, which is the 250 Pro. 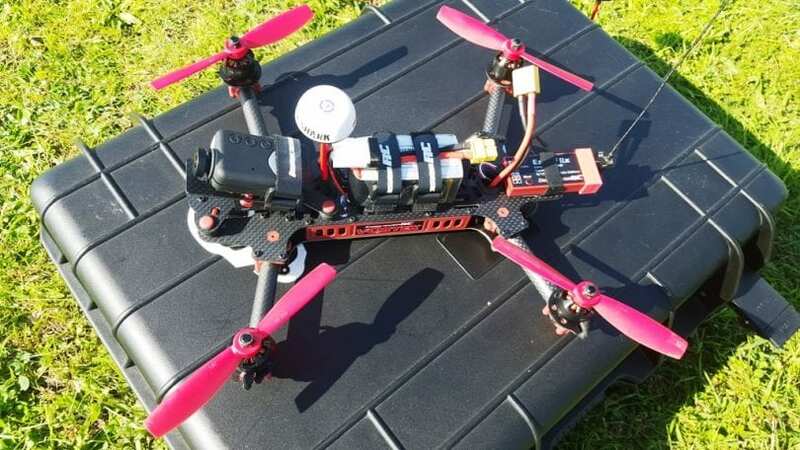 ImmersionRC took everything that was great from the 285, suggestions from users, and turned all of the features, flight performance, comments, etc and made an entirely new drone out of it. 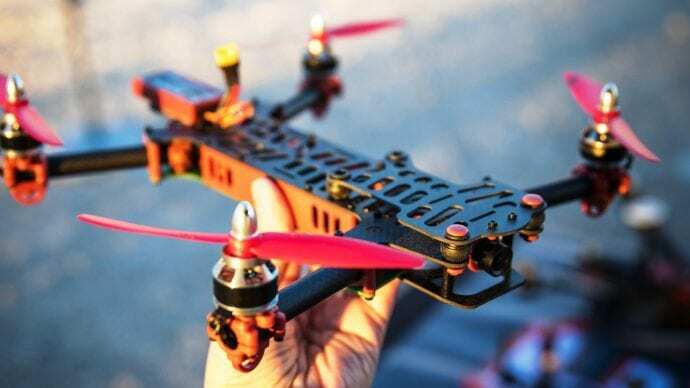 Like it’s brother, the Vortex 250 Pro is a FPV racing quadcopter, but is double what the 285 is. For example, the Blackbox Recorder was added to the 250, which records videos at a high speed and stores it within the Fusion Gen2 board. Overall, the 250 is incredibly powerful, much more so than it’s brother, and is definitely the main competitor. In general, racing drones have to pack some serious power to get the leg-up on their competition, which is exactly what the Storm Type A drone does. 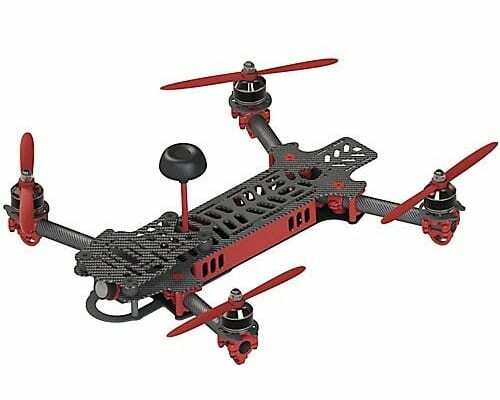 It’s also a FPV racing drone, requires some assembly, and is another racing drone that is good for beginner and amateur fliers alike. 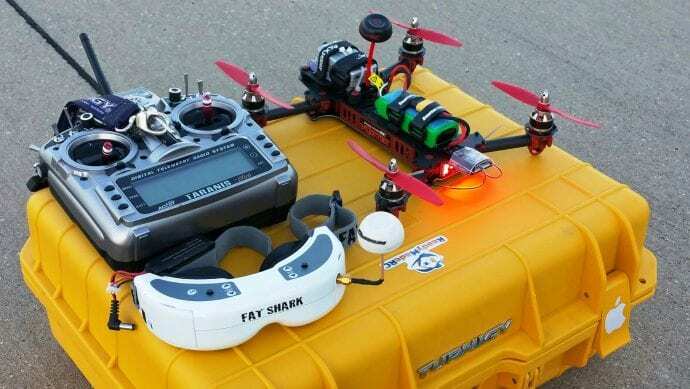 Though there is not much in the way of similarities, the Storm Racing Drone comes up in high competition with the Vortex 285 because they are generally the two most popular types beside each other. The ShenDrone Shriker itself has a lot of similarities when it comes to the shape in comparison to the Vortex 285. The sizes are somewhat similar as well, but the Vortex 285 takes the biggest size spot. Either way, both of these drones are put into competition against each other because of their flight performance, which tends to be about the same. Let’s see Pros and Cons of Vortex 285. The ImmersionRC Vortex 285 is one powerful machine. 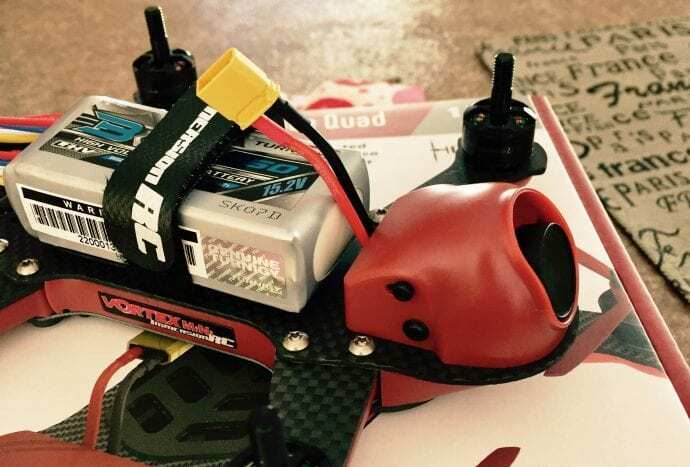 With speeds going up to 70 miles per hour, durability that is hard to match, and a size that can be very compact, this FPV racing quad is quite the superstar. All in all, this drone is quite the little powerhouse, and while there are some disappointing cons, the pros and everything else is quite impressive. You will definitely see for yourself how great of a racing drone the 285 truly is.